Investing in Real Estate Professionals Who "Giveback Homes"
This entry was posted on July 22, 2015 by Karen Perkins. Real Estate Agents Join the Doing Well While Doing Good wave in a very crowdfunding-type way. Nurturing a relationship between real estate professionals and those in need: Giveback Homes (GBH) has added to the ripple effect that we at Patch of Land live to fuel. Buying your own house can suddenly become a mode for building others’ lives. 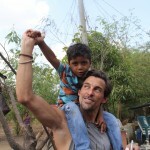 GBH, is a network of real estate professional members from real estate agents, such as Million Dollar Listing star, Madison Hildebrand, to designers and builders who are extending their brands while taking active part in social good. What a unique and convenient way for real estate professionals to raise up others, while gaining their own brand recognition! Increasing social good while promoting those who give back to investing in real estate, is a cycle that fuels our current generation of investors, and our communities at large. GBH Founder, Blake Andrews and his wife purchased their first home in 2013, using Nick Schneider, Manhattan Beach realtor© with a big heart and a propensity for sharing his own success with others. Recognizing Andrews’ history with Toms shoes a group who provides protection to the shoeless around the globe, Schneider asked for an idea of how he could be part of social change through real estate, yet maintain knowledge of exactly where his contributions went. Money rarely comes freely to anyone, and having concern for where donations are used is just plain smart. For Andrews, the light flickered and then shown brightly, until Giveback Homes went from brainstorm to a world-changing reality. A reality that donors could depend on to funnel their funds directly to where they are intended. While the financial benefits of donating pre-tax dollars to charity are vast, my largest cause for pause is in the realization that I, too, would rather invest my income in real estate directly: for a home to fuel a family than to pay taxes. Giveback Homes, in partnership with Habitat for Humanity, distributes donations directly to the field, where lives are being built one brick and board at a time. There are currently 11 active building projects throughout the world, fueled by money from what people are investing in real estate to fill their personal needs. Doing good consciously, or inadvertently, is still doing good. In GBH's platform of giving, real estate professionals pay a small fee in exchange for a rather unique & personally tailored marketing package. For $50 per month, Giveback Homes (GBH) provides members access to the ever-increasing promotion GBH logo, access to their unique in-house design and marketing team and also registry in their agent database. ~A mere marketing expense that can build the type of walls that break down others. Realtors can donate any amount of money they would like, and 100% beyond the monthly membership fee is given directly to fund the building of the next Habitat for Humanity project. The new generation of home buyers wants to choose representatives who “Do good.” That is a great draw to real estate agents who wish to expand their client base. 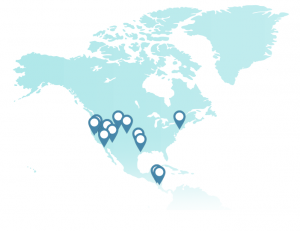 Members of GBH offer their clients the opportunity to build from collective success. As clients buy homes from agents involved, they are also gifted the karmic benefit of proceeds from their home building additional homes for others. Buying your first home can be an especially challenging journey, and once you arrive, recognizing that the success fueling the rest of your life, could actually house a family somewhere else, makes your beginning fuel theirs. “You build these people homes and it is going to change their lives for generations. We are changing the life and culture of where these people live," Schneider said. Whether consumer, real estate agent, designer or builder, donors are even jumping in to join the physically and emotionally rewarding work of boots-on-the-ground building. These collective teams are actually real estate crowdfunding, and they are having fun! Just think of the magnitude of growth GBH could experience by adding a formal real estate crowdfunding campaign to the mix! Even wider exposure for raising funds, inadvertent exposure to potential real estate professional members, and a greater number of people-in-need benefiting from the result. Both, financial and sweat equity is building lives from the ground up, and magnifying the numbers of lives positively changed. Homes, as we social-good-focused routinely discuss, are the basis for possibility, comfort and stability. All providing for a leg up to success that fuels the wider ripple of giving back. From the US to Nicaragua, lived-in cars to rusty tarp covered shanties can be retired, as brick and mortar builds more than homes. Investing in real estate and in people, continues growing communities in increasingly inspiring ways. Let's keep track of Giveback homes, and watch how they grow, and how our communities grow as a result. Would you purposely seek a real estate professional who donates a portion of their commission to growing communities so that your purchase, or remodel, could fund a home for someone else? Let us know where you stand by leaving a comment below. This entry was posted in Growing Communities and tagged Growing Communities, realtors, real estate marketing, Million Dollar Listings, Nick Schneider, Blake Andrews, Madison Hildebrand, investing in real estate, social good, real estate crowdfunding on July 22, 2015 by Karen Perkins.